You may not remember me, but I remember you. I was coming back from Indiana and had a layover in Houston. My delay was supposed to be only an hour. I was prepared to be back in Vegas by 9:00 p.m. Then it started to rain. Scratch that, a wall of water started falling from the sky. No one was leaving, and no one was landing. We were all trapped. As I'm sure you know, delays do not precisely rub people the right way. Everyone has somewhere they need to be at that exact moment, and stuck in the Houston Airport is not one of those places. Luckily for me, I was only delayed an additional hour. Anybody can wait around for that long I looked at some keychains, contemplated getting one of those neck pillows that looks like a giraffe, and had some way overpriced tacos. I began to head back to my gate when I glanced over at the scoreboard. Yes, I'm talking about the flight tracker. At that point, it was a scoreboard because if your flight even mentioned boarding, you were already in the end-zone. I am no longer delayed an hour (yay! ), I'm delayed five hours (boo!). Seriously, all hell broke loose. Everyone and their mother ran up to the service desks demanding all sorts of service. I want to thank all the agents that put up with that on a daily basis. We all know this situation is not your fault. It's not like you conspired with mother nature to send down cats and dogs. World War III broke out in the middle of the Houston Airport, and the attendants were out of ammo. So I thank you for keeping your cool when customers came at you with their crazy, but that's not what this letter is entirely about. I had a cheap seat. I was in the middle seat at the back of the plane. I did not even pay for a checked bag. Anyways, after about two hours went by, the lines at the service desks started to die down. The flyers were surrendering as they began to realize nothing could be done. The guest in front of me was hassling you because there were no other available options to get this man to his bachelor's party in Las Vegas; an ultimate crisis. He threatened to sue and then walked away. You called me forward ready and willing to hear the next complaint in the queue. I legit kid you not, that is how our conversation went. Me: "Hi, how are you." Dumb question, apparently you're getting thrown to the wolves right now. Agent: "I'm doing well. What can I help you with today." Me: "I notice there are a lot of people changing and canceling their flights. 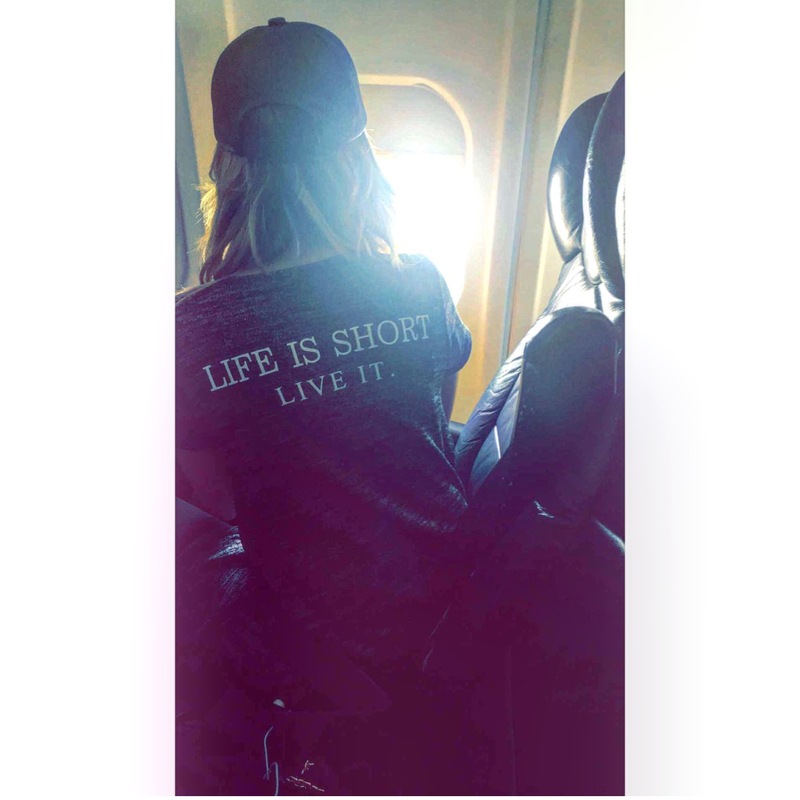 I have a middle seat, and I was wondering if it was possible to switch it to an aisle or window if the flight is not full still?" Him: "Let me see what I can do for you." Me: "Thank you I appreciate that." Him: *prints out a piece of paper* "Here you go. I moved you forward a little bit too." Me: *did not even glance at my ticket to see where I was sitting* "Yaass. You are the best sir. Have a great night." Two and a half hours pass by, and my flight is finally boarding. I look down at my ticket to see where I'm sitting and when I should board. You moved me up to the first boarding class. Bless your heart, sir. While walking onto the plane, I realize you did more than push me up. You bumped me up to the second row in the premium section. Bless your heart again, sir. I now went from peasantry to royalty in the matter of a minute, and I took advantage of the additional legroom. Honestly, that was the sweetest gesture I have ever received from a flight attendant, and I did not want it to go unnoticed. I have a whole new perspective of United Airlines because of this one situation. Thank you again for being the real MVP of my Indiana trip. Just know you made one customer night in the slew of Debbie-downers. Nice! Amid the wolves he was thrown to, your flight attendant clearly appreciated your calm demeanor and reasonable request. Oh, and that fact that you didn't threaten to sue may have had something to do with that favor! You were probably the first person who asked that attendant how he was. Clearly, he was thanking you. And I want to thank you, too. Customer Service is not an easy job, especially for those who work face to face with the customers. I don't know how they do it, day in and day out, but you were kind when it really mattered to this person. It wasn't until I did customer service work that I realized that people are rude and treat people so badly and have no idea what little control you actually have in that position. I try to make myself remember that when someone is rude for no reason. I am always thankful when I get someone nice on the phone, it makes up for all the nasty people. It's always amazes me when people are rude to service professionals. They are doing their best to help you, and they don't have control over everything.